Today, companies with the brand of the inventor Bosch are trying to produce practical household appliances. Nevertheless, this does not mean that the line up of embedded technology is reduced only to simple models, but also more sophisticated devices capable of satisfying the most demanding customer. The range of household appliances includes: hobs, ovens, hoods, refrigerators, washing machines, dishwashers and dryers. 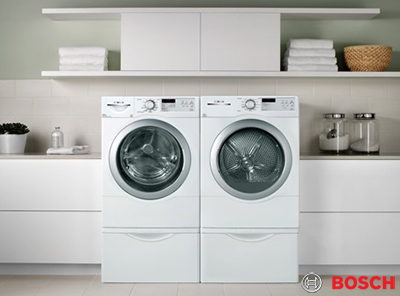 Today, the brand of Bosch built-in appliances is the most famous, bought in the world. The widest customer service across the world, the supply of household appliances from a warehouse everywhere – all this makes this brand the most often chosen from the middle class. 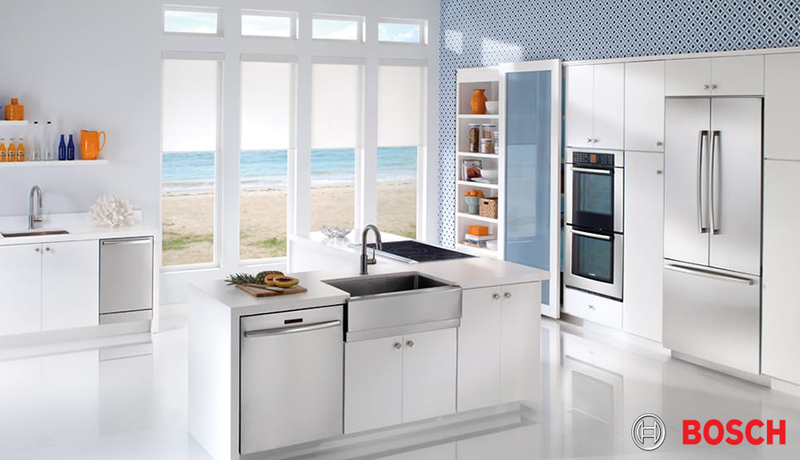 Refrigerators are usually made in universal light colors, combined with almost any interior. For bright kitchens with an extravagant design, this option does not always work, but Bosch built-in refrigerators will help you find a way out of any situation. They can be completely hidden behind the decorative panels of kitchen furniture, which will create a harmonious design in the room. Inside refrigerators are as ergonomic as possible – they have a freezer compartment, boxes for storing fresh fruits and vegetables, and shelves can be placed at their discretion, which allows you to optimally adjust the useful volume. 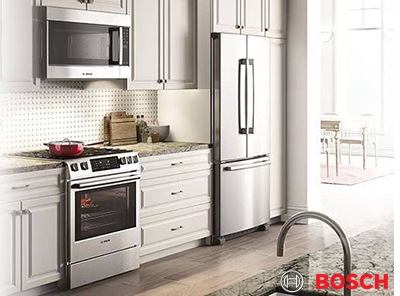 In addition to convenience, built-in refrigerators Bosch have other advantages. a wide range of useful functions. There is a wide range of refrigeration equipment. Two -compartment refrigerators Bosch. In such units, the refrigerator and freezer compartment have separate doors. This allows to maintain an optimal temperature regime in each zone. Single -chamber refrigerators Bosch. This technique is the best option for a small family. The units have one door, and the freezer, as a rule, is located on top. In terms of performance and functionality, such refrigerators are in no way inferior to dual-chamber analogues. The only difference is the smaller useful volume. Refrigerators -freezers Bosch. This category of technology includes both two-chamber and single-chamber units. The main feature is the separate cooling systems of the refrigerator and freezer compartment, so it is easy to maintain the desired temperature in them. For example, the included super-frost mode will not affect the temperature in the refrigerator chamber in any way. No Frost system – the defrosting of the unit is performed automatically, and excess moisture is output through a special evaporator. The zone of freshness Hydro Fresh – increases the shelf life of greenery, fruits, vegetables and other products. The technique of flat hinges – provides a silent and tight closing of the door. Acoustic alarm – triggered when the door is open and a cold leak. There are two quick programs for half an hour or 15 minutes, which will help to refresh slightly contaminated things.